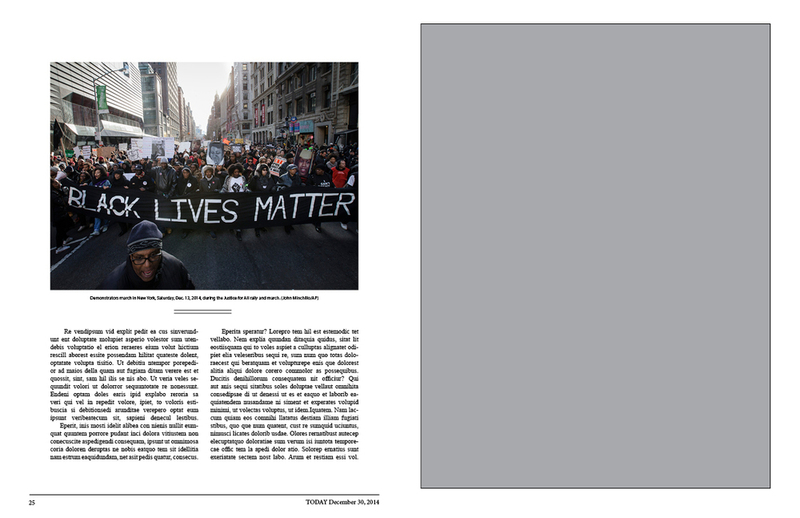 I was assigned to create a magazine layout on the subject of Ferguson and the aftermath of Michael Brown's death. 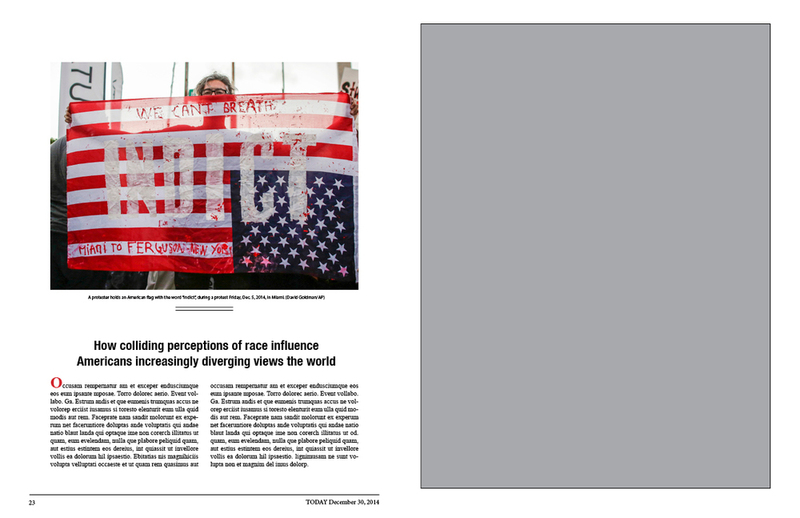 My edit focuses on how the Ferguson case has effected not only Ferguson but communities across America, sparking a continued fight for Civil Rights. 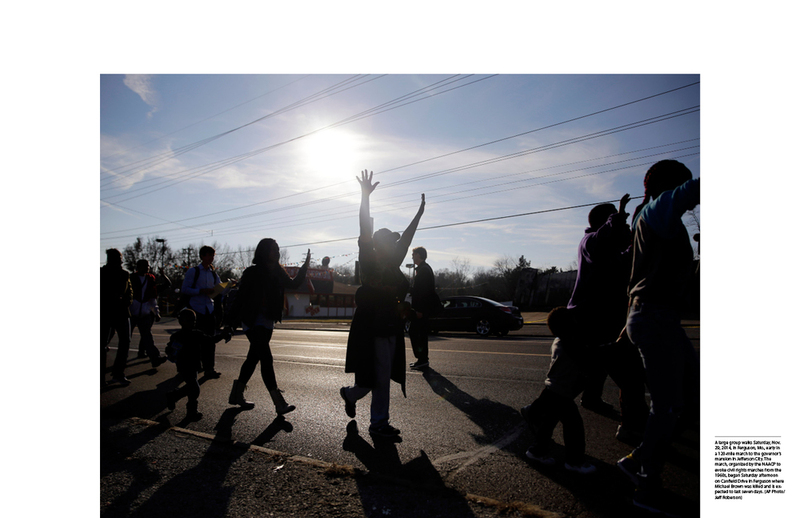 I started my process by researching the events of Ferguson, Missouri and looking through images from AP and Newscom educational feed. I looked through an estimated 1,200 images before creating a wide edit of 45 images. This was ultimately narrowed down to 6 selects that are incorporated in my layout. 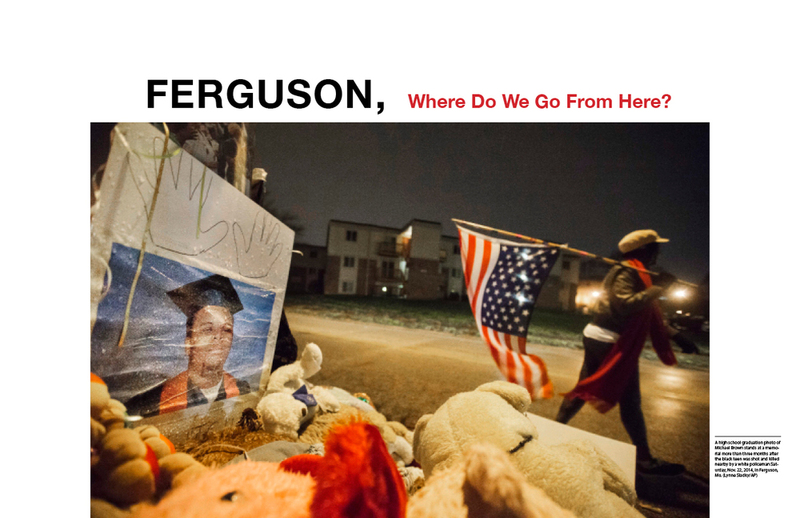 The goal of my edit was to make people think about the aftermath of Ferguson not only in Missouri but in America. I also wanted to tie it into other movements that were happening such as Eric Garner, highlighting the idea that these events have ignited a Civil Rights Movement.